Our stable is located in Tönisvorst, just 20 minutes from Düsseldorf, Germany. 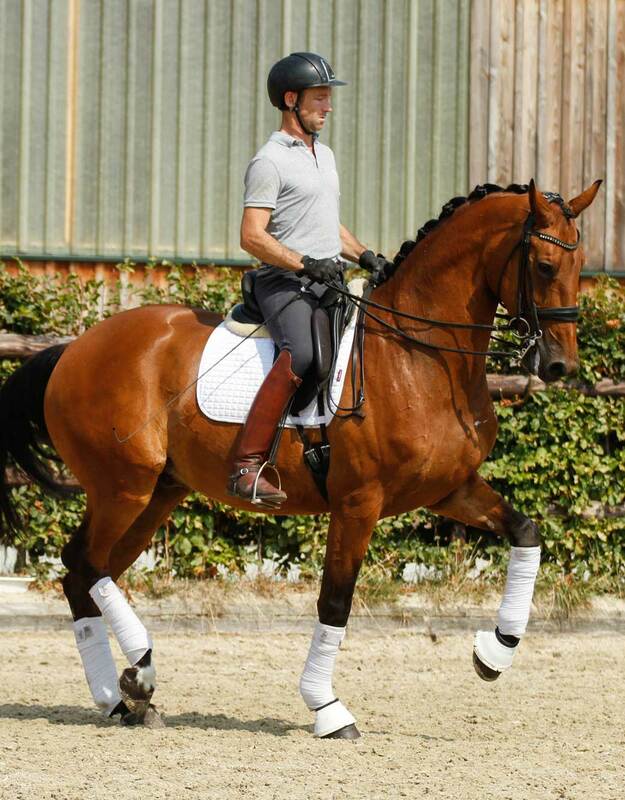 At Reitsportzentrum Gehlenhof we have the luxury of great arenas, good paddocks, plenty of stables and great people. We constantly have 10 to 15 horses in the stable for viewing and trying. You can find them under FOR SALE. For us it has always been important to have good horses for ourselves and in the last years we have worked on improving the quality of our own horses. At the moment we have six horses of our own, which we believe have great potential. 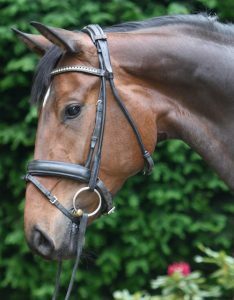 Tall and elegant gelding with nice impression with powerful movement and fantastic flying changes. Lovely calm gentleman with a forward going attitude. Would be very well suited for junior or young rider level. Placing in medium (M) level. 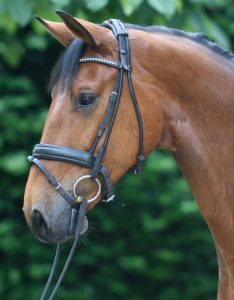 Quiet and very sweet gelding with three good paces. 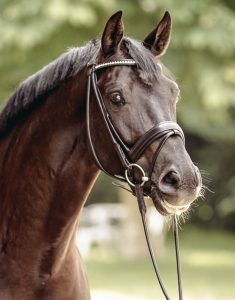 Big frame horse who is very ridable, honest and always eager to please. Easy in all handling. This gentleman shows great potential for collection and all Grand Prix exercises, is a fast learner and has established flying changes. Great partner for any ambitious rider! 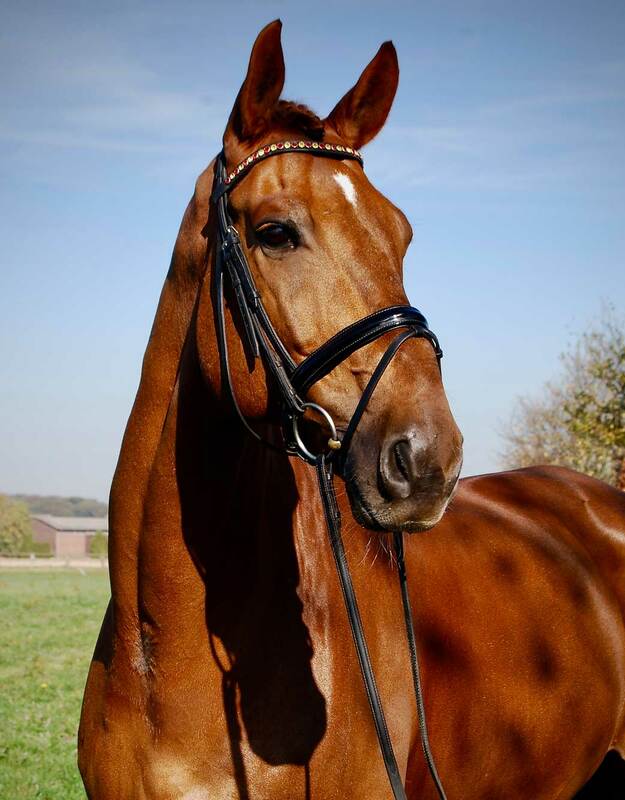 Charming and highly successful gelding to take you directly to the top! 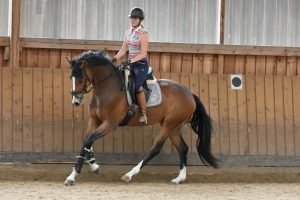 Endless gears in trot and very easy flying changes and pirouettes. Top show results and numerous wins in PSG, Intermediate and young riders level. He is also a winner of the USA Nations cup. 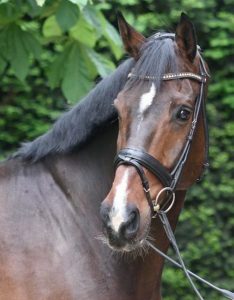 Ideal team horse for junior or young rider level! 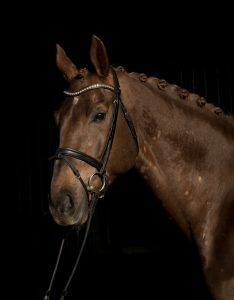 6yo gelding, shows great potential. M-ready. Super sweet big and well moving mare By Escolar. 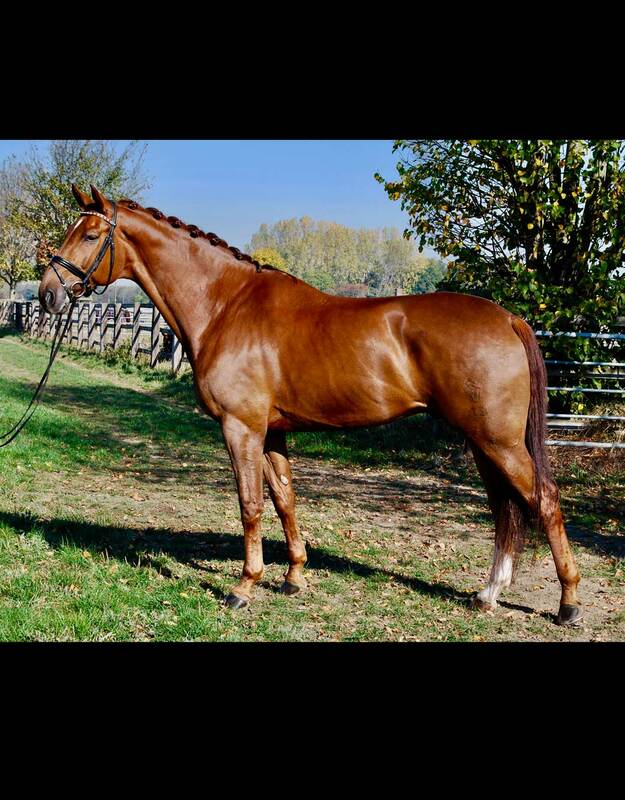 This mare has an amazing attitude for work and is suitable for both as a first young horse as for someone wanting a little bit more quality. 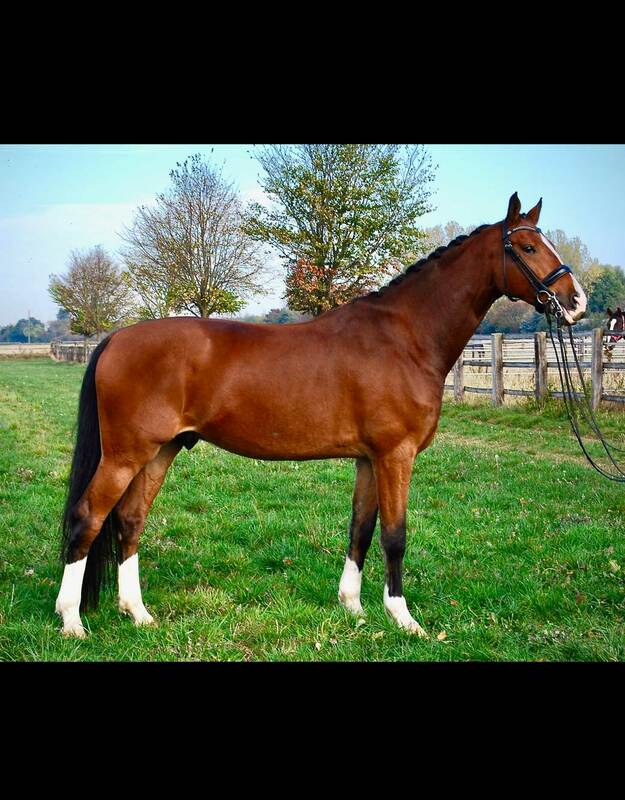 ¨The Donna¨is a Finnish bred mare By Don Primero-De Noir, we bought her in Finland after have seen her at one of our clinics. Donna is slowly being introduced to the Small tour. Diego is our gentle giant. 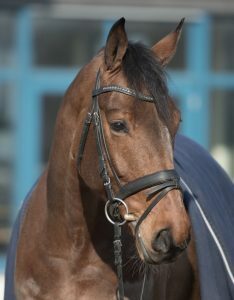 Diego is bred by Glock's Johnson- Ramiro Z and is a very nice mix of Dutch blood and Holsteiner! 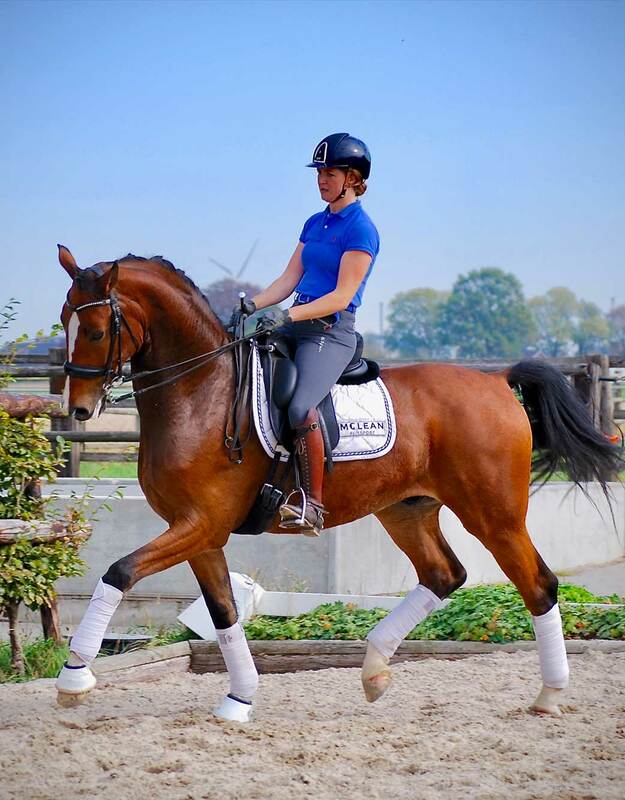 Diego is placed in Advanced and is currently being trained at Grand Prix level. Luigi is bred Ampere-Sandro Hit and shows great potential for the future. Luigi has a very nice character and he always learns fast and enjoys to work. Luigi has been with us since he was backed and is very up to date with his education doing good changes and showing super potential for piaff! know a little more about us, we would love to hear from you!